Joey Bart does not have any MLB stats for the season. Draft: 2018, San Francisco Giants, 1st rd. April 16, 2019 San Jose Giants placed C Joey Bart on the 7-day injured list. March 29, 2019 C Joey Bart assigned to San Jose Giants from Salem-Keizer Volcanoes. 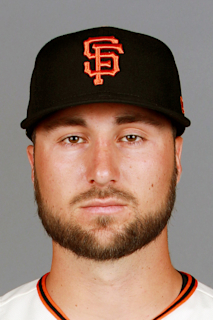 January 24, 2019 San Francisco Giants invited non-roster C Joey Bart to spring training. July 3, 2018 C Joey Bart assigned to Salem-Keizer Volcanoes from AZL Giants Orange. June 24, 2018 C Joey Bart assigned to AZL Giants Orange. June 17, 2018 San Francisco Giants signed C Joey Bart.